After the wallpapers that disguise the iPhone X notch, here's an app that tries to make some money out of it, by promising to hide the notch. Don't expect too much out of it, all this Notch Remover app does is add a black bar to the top of any image your provide, so you end up having a black status bar all across the screen (you need to set it as wallpaper, of course) - hiding the notch. That's something anyone could do in an image-editing program. Don't mask or call special attention to key display features. Don't attempt to hide the device's rounded corners, sensor housing, or indicator for accessing the Home screen by placing black bars at the top and bottom of the screen. Well, technically this app might not do it, but it provides an easy way that will end up in promoting it. Although, as previously said, anyone would be able to do it in a number of other ways, and there would be no way for Apple to prevent users from using any wallpaper of their choosing... unless it wanted to face public backlash. 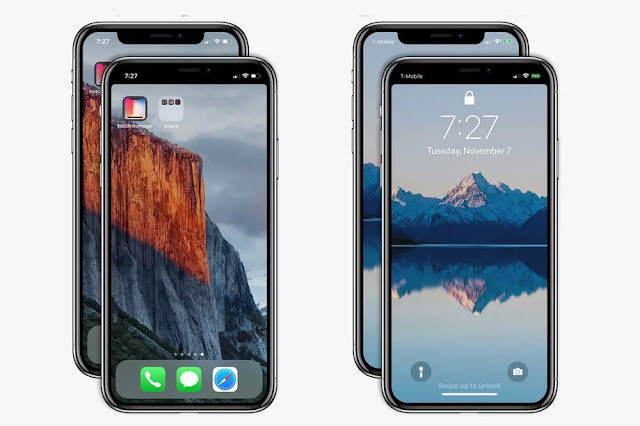 At this point I think most iPhones X owners do not even care about the notch... They's probably more worried about that nasty bar on the bottom of the screen that they can't get rid of! I hope Apple will soon add an option to hide it, as any user will know that the home button pressed has been replaced by the swipe from bottom gesture after handling the iPhone for even a couple of seconds, and it's not needed to keep reminding them of that.